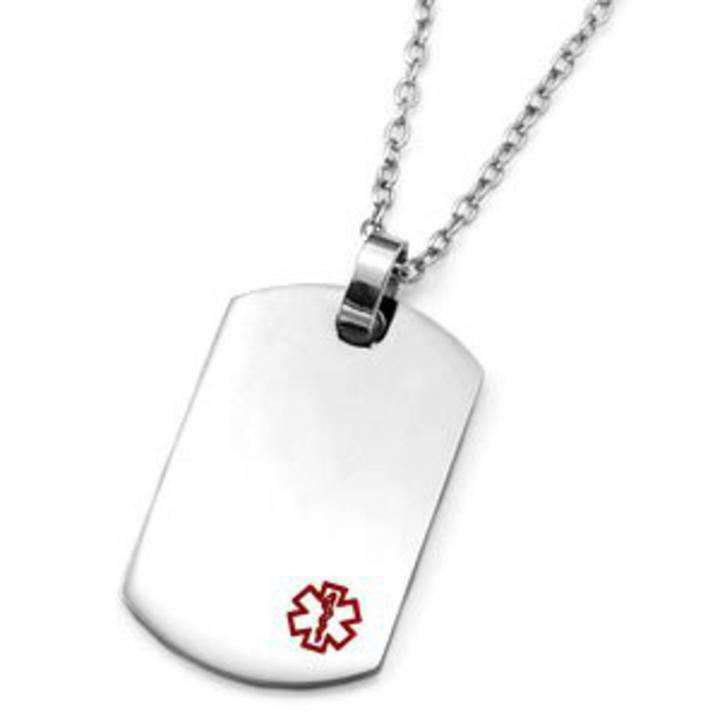 Our 316L hypoallergenic stainless steel medical id dog tag is perfect for those who prefer to wear a medical id necklace instead of a medical bracelet. 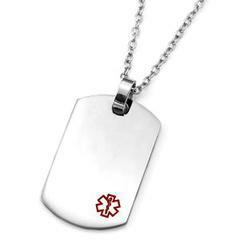 Our stainless steel medical id alert dog tag can be engraved with up to 6 lines on the front and 7 lines on the back. Our dog tag measures 1 1/2 inches in length and 1 inch in width.This comes with a 30 inch stainless steel bead chain which you can cut to your size needed easily.